Our Private Cremation package contains the following picture below. 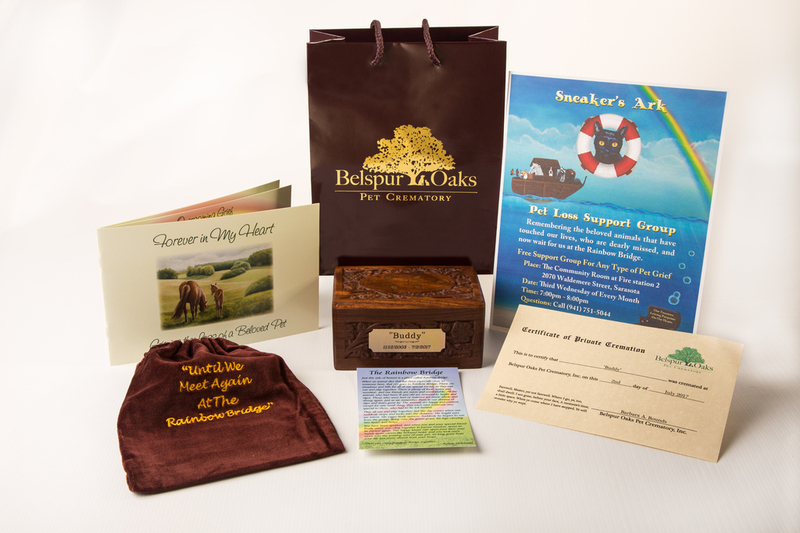 Dark Wood Urn with an Engraved Brass Floral Inlay, Rainbow Bridge Pet Memorial Bag, Rainbow Bridge Poem Card, Forever in My Heart, Grieving the Loss of a Beloved Pet Guide, and a Private Cremation Certificate. Your pet's cremated remains will always be with you wherever you may move or go. You may place the cremated remains in one of our many decorative cremations urns. You may scatter the cremated remains at your pet's favorite spot. You can memorialize your pet in a way that suits you and your family. Ideas are endless, you may do what you feel is the best way. Once your pet is received we will contact you for further information.